Leftovers tend to make great sandwiches. 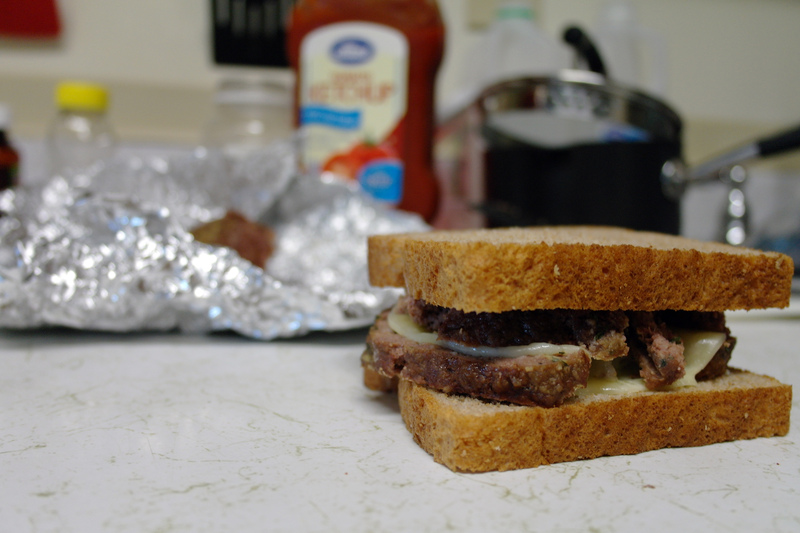 Take this example of meatloaf, featured more artistically previously, now simple and sitting on the kitchen counter among its tin-foil wrapping and ketchup topping. Sometimes a good crumbly re-heating (or cold) meatloaf could use help staying together, hence the added provolone. Sure, you could make yourself up a second shot at a whole meatloaf dinner, but that could be a lot of work and dishes, so just pull out some bread and make your life a little simpler. Lord knows we could all use a simpler time.